Actually just noticed this about half a year ago. 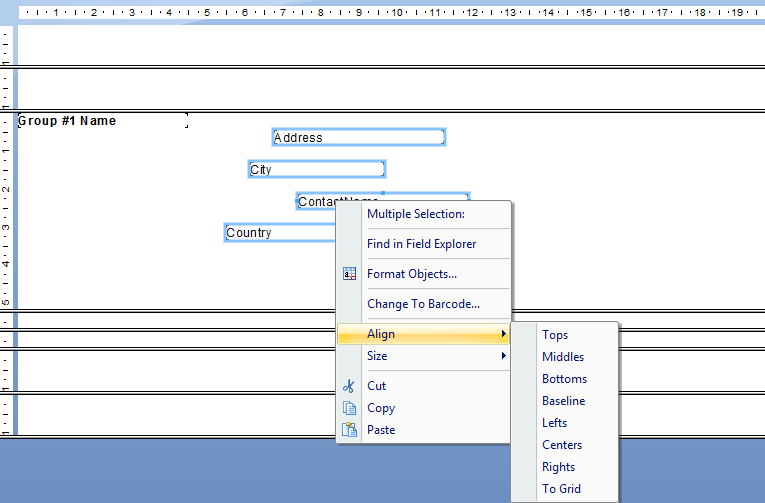 When you select more that one field in order to align them, you can do so by right clicking one of the fields and choosing Align. But, and this is important, the fields are aligned according to the one you right clicked on. 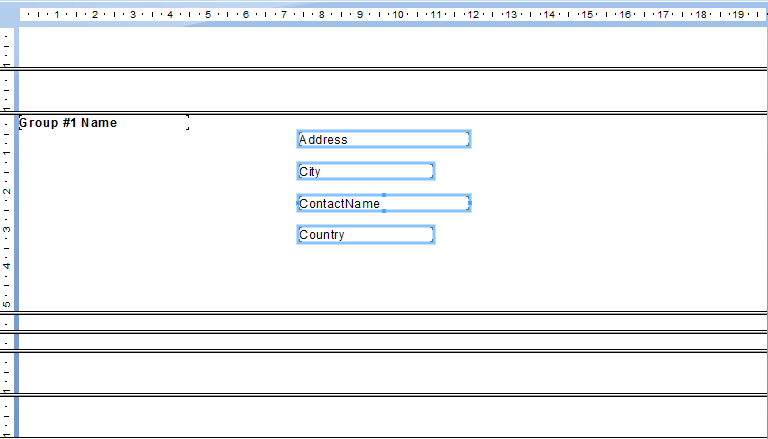 In the example I right clicked the field ContactName. The same goes for resizing fields. The fields will be resized according the size of the field I right clicked on. Used to working with MS Access forms, I knew it did not work there like this in Access. So a very nice feature in Crystal reports.